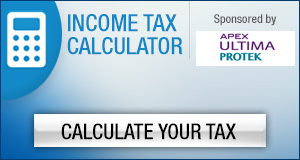 This income tax calculator will help you have a hassle-free access to basic calculation of tax. This will also enable you to calculate your net tax payable for the current assessment year. This Income Tax Calculator tool lets you calculate various investment options so that you can plan your finances better. To recalculate the tax, please Click here. Disclaimer: This calculator is only to help you find out your personal indicative total tax liability. Efforts have been made to cover most of the scenarios of Income, Exemptions, Deductions, etc. However, you are advised to consult any qualified chartered accountant or tax consultant to know your actual tax liability.